Take to the court and experience the realism and authenticity of WTA Tour Tennis (aka WTA Tour Tennis Pro Evolution in Europe and Pro Tennis WTA Tour in Japan). First, choose one of 20 professional tennis players such as Serena Williams, Martina Hingis, and Jelina Dokic--each with lifelike facial expressions and movements. Then, engage in fast-paced competition on grass, clay, and hard surfaces. 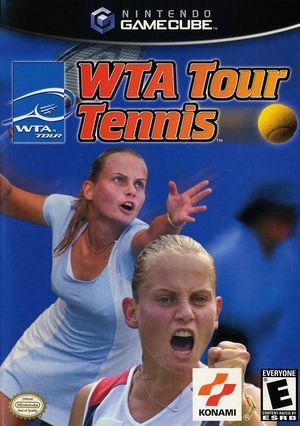 With simple controls, multiple levels of difficulty, and AI based on actual player attributes, WTA Tour Tennis challenges both newcomers and seasoned pros alike. Though it is sometimes possible to move through them quickly enough to avoid this, this title tends to hang in the menu if Dual Core is enabled. The graph below charts the compatibility with WTA Tour Tennis since Dolphin's 2.0 release, listing revisions only where a compatibility change occurred. This page was last edited on 25 July 2018, at 04:42.